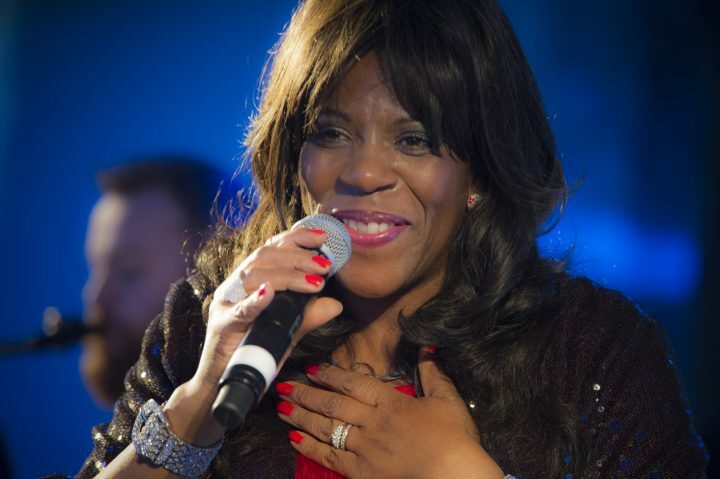 As the first black British female solo artist to have six consecutive Top 20 hits, Jaki Graham firmly maintains her position as Britain’s most revered queen of soul. 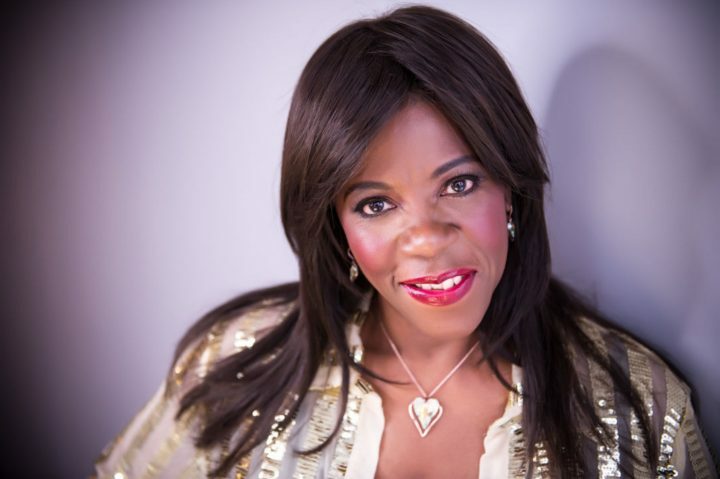 She returned to the music scene last month with the release of her latest studio album, ‘When A Woman Loves’. We caught up with her to find out what she’s been up to and highlights of her illustrious career. What inspired you to get back into the studio? It was always planned but it was important to wait for the right songs. It was when Michael McDonald sent a couple of his tracks across to me that were so relevant and spoke from my heart that it got the ball rolling. From there the rest of the songs seemed to come through at just the right time and it happened quite organically. What do you hope new listeners to your music discover about you? I never take it for granted that everybody knows who I am so for me I’m always performing on the basis of introducing myself to a new audience. As long as the crowd feels me, enjoys themselves and my music leaves them feeling good, then that’s all that matters. I’d like to think there’s something in my catalogue that appeals to everyone. How has the music industry changed since you started out 40 years ago? It feels like a whole new ball game to me! With the introduction of the internet and social media it’s given everyone a platform to be much more independent which we didn’t have when I first came out. The fact that people can sit there and record in their own bedroom nowadays blows my mind! You don’t need a record company to release your own music. Artists have much more of a voice now. They have the flexibility to essentially control their own career without putting it into someone else’s hands. It would probably have to be my tour of Japan as that’s when I realized I was seriously international. My tour sold out in 20 minutes and I’ve never seen such a reception like it from the fans. I had the opportunity to perform across the whole country, which was so beautiful and the warmth, love and even gifts I’d get, it was a different world. I love it there. I was most star struck when I met …? I’ve been fortunate enough to meet many wonderful people along the way but one that always stands out for me is Glenn Frey. I was at the Top Of The Pops (TOTP) studios during one of my earlier performances on the show when Glenn had a hit with The Heat Is On. He was surrounded by what felt like a sea of bodyguards, it was almost presidential. No one could get near him or was allowed near but as he was about to pass me in the corridor, he stopped his security, waved them out of the way and came over to say hello and tell me what a great voice he thought I had. Here was one of the great voices of The Eagles recognising me… I was taken aback. What a lovely man and a great memory to have. What would you say has been the most challenging aspects of your career? I would have to say there was a lack of support from my label when I first came out. Don’t get me wrong, there were some fantastic people within the team who were behind me all the way. But, as a black British female artist who could sing and being around at the same time as Whitney, Tina, Diana Ross, they didn’t know what to do with me. They didn’t know how to market me and sadly weren’t prepared to put the budgets aside to help take things further. Thank goodness for the fans. It is seriously down to them and some of the great DJs across radio that got behind me and really championed me as an artist, so much so that the record company didn’t have much choice in the end but to take notice. What’s life like away from the music? I’m very rarely away from it to be honest as I’m always travelling for shows but when I’m home, I’m home! It’s often nice to get back to normality. I’m not very starry at all so I simply like to get back to good old household chores and catch up with family friends. I’m on the road a lot and will be even more so with the new album so I try and make the most of my free time when I can. All sorts. My kids keep me in the loop with some of the new artists coming through today. I go from Michael McDonald, Gladys Knight and Quincy Jones through to Kimbra, Dirty Loops, Kendrick Lamar and Jill Scott. It’s a varied mix but I think it’s good and important to have a versatile taste. You’d be surprised how much of today’s music is influenced and sampled from some of the classics so it’s often nice to hear the music as it comes around again. I like to wind down with a cheeky brandy, G&T (or some red wine) when I get a chance and if I can, enjoy that in front of a nice open fire as I like my heat! I also like spending time with my family. Natalie, my daughter manages me and my husband, Tony takes care of the personal management when I’m on the road. It’s nice when we are home to switch off from work for a while and just enjoy each other’s company. Plus, my son’s also in music and an artist in his own right so when he pops up then it’s all laughs in our house. What’s a holiday?! I haven’t been on a holiday for over 20 years! I used to love Portugal for our family holidays when the kids were younger. Mauritius would have to be up there as a favourite too. I also recently filmed the video for the title track off the album ‘When A Woman Loves’ in LA, whilst staying with close friends in Marina Del Rey, which I have to say I could get used to. I think because I’m always off and about performing overseas then I embrace all of those breaks as mini getaways when and where I can.